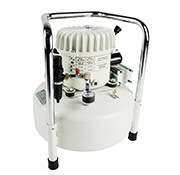 Werther's silent air compressors are dependable, vibration free, and compact that have noise levels as low as 30 dB/A! These are the ideal choice for clean air supply in applications where low noise level, dependability & long service life is a must! Rotary Screw Compressors are extensive, versatile, & high efficiency compressors that range from 3 - 100 Hp and capacity from 10 - 560 CFM! Werther International Inc. has teamed up with FIAC srl to offer their innovative rotary screw compressors to their distributors in the North American market. 25 years of engineering excellence and manufacturing experience have produced the most reliable, energy efficient, quiet running rotary screw compressors available today, with a customer friendly design that is easy to maintain and service. The only choice when quiet, dependable, and compact design is a must. 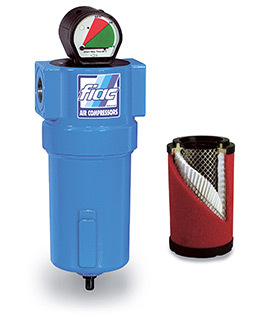 Designed to meet requirements from general shop air to the more demanding clean, dry instrument grade air.